If you're relying heavily on old-school marketing tactics -- radio and TV commercials, cold calling, email spamming, direct mail, that sort of interruptive stuff -- you might be seeing a decrease in the success of your efforts. Why? Because consumers are getting smarter at blocking you out, and they have been for quite some time. More tools are bought today than ever before to block out advertisements. In other words, consumers have found yet another way of telling us these ads are annoying, and that we need to stop interrupting and start listening. And in 2013, I can only predict that more advertisement "blockers" will be purchased, used, and created than ever before. We need a new way to reach our potential customers. Those adopting more inbound marketing tactics -- things like social media, blogging, permission-based email marketing -- are probably seeing that it is still possible to reach potential customers without bombarding, annoying, and interrupting them. And it's a good thing, too, because with these modern technologies that consumers are leveraging to shut marketers and advertisers out, it's more important than ever before to find less intrusive ways to reach your target audience. To show you what we mean, here are 11 ways consumers have found to block out interruptive marketing messaging. 86% of people now skip traditional advertisements on TV. How is this possible? Sure, some people are getting up to go to the bathroom, or shake another cocktail. But the majority of them? They're using technologies like DVR to pre-record a show, then fast-forward through the commercials while watching TV. Who wants their favorite show interrupted by a more-than-likely-irrelevant ad, anyway? Have you ever wanted to watch your favorite shows, but they weren't being broadcast right at that very moment? No problem at all! People are using online television to watch the shows they love online whenever they way. That's what services like Hulu and Netflix specialize in -- enabling viewers to watch any TV show they want, on demand, for a small monthly fee. Advertisers have moved to online ads in free online TV services, where ads are placed in limited quantities. These ads, however, can often be skipped after the first few seconds. Additionally, with Hulu Plus and Netflix, you don’t see any ads since subscribers are paying for their services. And by the way, Nielsen predicts DVR sales and online video viewing will increase this year. According to a report from ExactTarget, 91% of people have unsubscribed from a marketing email they had originally subscribed to. And with CAN-SPAM laws, marketers have to make it extremely easy for recipients to unsubscribe, or else they'll face legal backlash. This means that marketers who rely on email to generate leads and sales need to construct email marketing programs that provide value, not spam, to their email lists. Otherwise, email marketers run the risk of an increased unsubscribe rate, or worse, an increased spam complaint rate that causes their deliverability of future emails to suffer. Rather than bombarding your entire list with a large number of blast emails, segment your contacts, and send emails with content that is relevant to each segment's specific interests and needs -- at a reasonable frequency. Email filters are getting smarter and smarter. Not only do a majority of my unwanted spam emails end up in the "trash" or "spam" folder in Gmail, but even for those that don't, I can easily set up email filters that route unwanted email to those same folders, bypassing my inbox altogether. This means I can make sure any email coming in from a specific email address, vendor, or with a specific word in the subject line can be automatically sent to my spam folder -- or even instantly deleted -- without ever being seen. There are tons and tons of ad blocking software services out there that work to block the interruptive ads, adware, banner ads, Flash, and pop-ups we all hate so much while we're surfing the web. These ad blockers have made online advertising less and less effective for marketers. As the average clickthrough rate for online ads continues to decrease as time goes on and fewer people see your ads because of the every-increasing adoption of these ad blockers, marketers need to find a new, more effective way to be heard online. The National Do Not Call Registry was created by the Federal Trade Commission to allow people to add their phone numbers to a list of numbers that telemarketers are not allowed to call. And with the enforcement of the Do-Not-Call Implementation Act, telemarketers are required to check this list once every 31 days, and remove all numbers from their calling lists. Furthermore, the act prohibits telemarketers from calling people before 8 a.m. or after 9 p.m. Sounds great right? No more annoying calls at dinner time from marketers trying to sell you lower credit card bills. For marketers, this means it's becoming increasingly difficult to reach people in traditional ways -- like giving them a random call. While the act has existed for a while, telemarketing is still a problem. 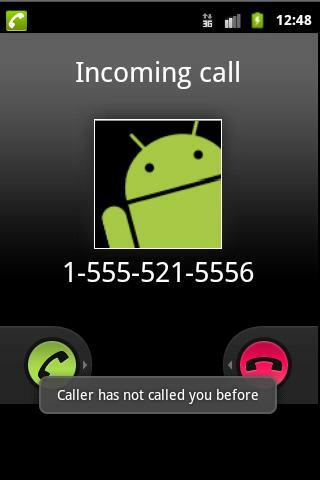 Robocalls, which are automated telemarketing calls, are interrupting people's lives. In fact, according to the Huffington Post, the number of filed robocall complaints has climbed from about 65,000 in October 2010 to more than 212,000 this April. Now that's not the kind of marketing people love, is it? Even if you haven't added your number to the Do Not Call Registry, how often do you really answer a call from that random, unknown number from Oklahoma? Caller ID, both on cell phones and landlines, allows us to screen every call that comes in. The Pew Research Center reports that 88% of U.S. adults own a cell phone, and most (if not all) cell phones now have caller ID by default. As a result, every time our phones ring, we can choose whether we want to talk to the person on the other end before we even pick up the phone. And how often do you answer a call from a number you don't recognize? This doesn't exactly bode well for companies reliant on telemarketing. Ask any HubSpot marketer: Music services like Pandora and Spotify have helped us get through quite a few long days of content creation. And with the paid versions of many of these online radio services, we love is that there are no commercials. In fact, there are also very limited commercials even in the free versions. This means our creative juices don't get interrupted by a commercial promoting a product we don't want ... every ten minutes. Too bad for those advertisers who depend on radio to promote their goods and services. And with personal music players, we can also avoid radio commercials all together. Listening to our iPods and MP3 players on our commutes helps pass the time, and we need only listen to songs and podcasts we like! Kramer was on to this years ago when he tried to get his mail service shut off. And Newman knew he was right ... he DOESN'T need the mail. According to estimates from the Environmental Protection Agency, 44% of direct mail, often called "junk mail," is discarded without being opened or read. 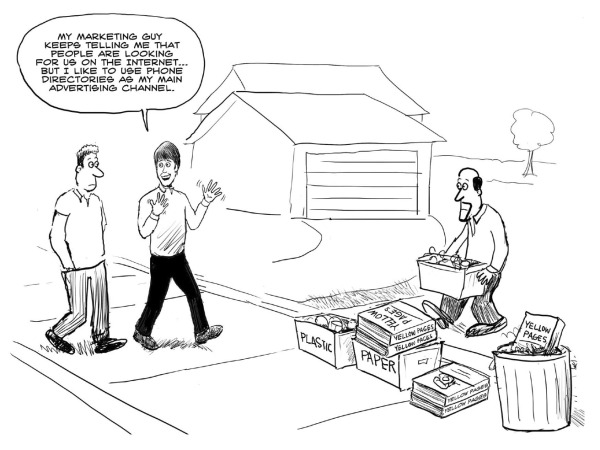 That means 44% of the money advertisers spend on direct mail goes right down the drain! (Just think about all those poor trees.) Instead of rifling through piles and piles of direct mail advertisement looking for new product deals, people take to the internet. That's right. The internet -- particularly search engines and social media sites -- has become the replacement for direct mail. People don't need to check their mail every day for fear of missing something important like bills or reminders. Instead, they can sign up for online statements, notifications, and payments. This means people don't have to sift through the direct mail they receive either. Want to get your car washed? You could try to get your hands on the endangered species that is the Yellow Pages to find a car wash near you. Or, you could go online, search for all the car washes in your city, and then read user reviews and recommendations to find the best one. And if you really need to call them, just grab their number from Google, and give them a buzz. Google and other search engines and local review sites have replaced the need for Yellow Pages. Why bother flipping through the phone book to find a car wash, when you won't be able to find out anything about the quality of your options? Search engines are the new Yellow Pages -- so make sure you're business is optimized for local search! Speaking of reviews, according to the Pew Research Center, 78% of internet users say they at least occasionally conduct product research online. This means that a lot of resources and efforts you've put into traditional advertising for your business traditionally have probably gone unnoticed by a large percentage of your target audience, since people prefer to search online for product reviews from other customers. So what can you do? Redirect your focus to online review sites, and follow our comprehensive guide to accumulating awesome online reviews. As a user, what other technologies do you use to avoid annoying marketing messages? Let us know in the comments!